Over the last couple of months we have been working hard updating our database of EyeLink publications. One big change we’ve made is that the eye tracking research papers listed on the website can now be searched – by year, author name, journal title and keywords. In addition, each reference is complete with its abstract (which is included in the search) and doi link (where available). 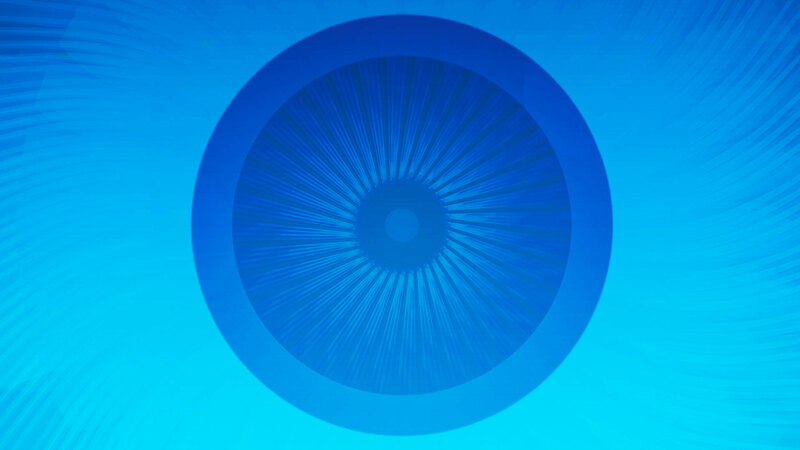 You can browse / search the entire list of over 6000 references here – take a look and let us know if we are missing any of your EyeLink research papers! 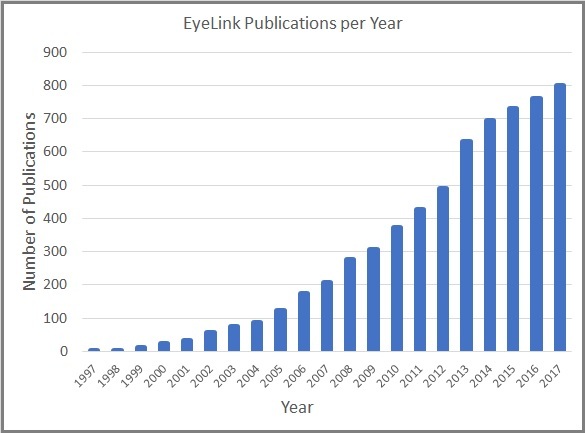 Our database now contains over 6300 research papers published in peer-reviewed journals that use EyeLink eye trackers (up to 2017, which is the last year we currently have complete data for). As you can see from the figure below, over the last 20 years we have grown from just 2 papers in 1997 to almost 800 in 2017. Over 70% of the papers in our publication database are published in the 50 journals listed below – the list is ordered by the number of publications in each journal. I also included the Journal’s most recent Impact Factor.